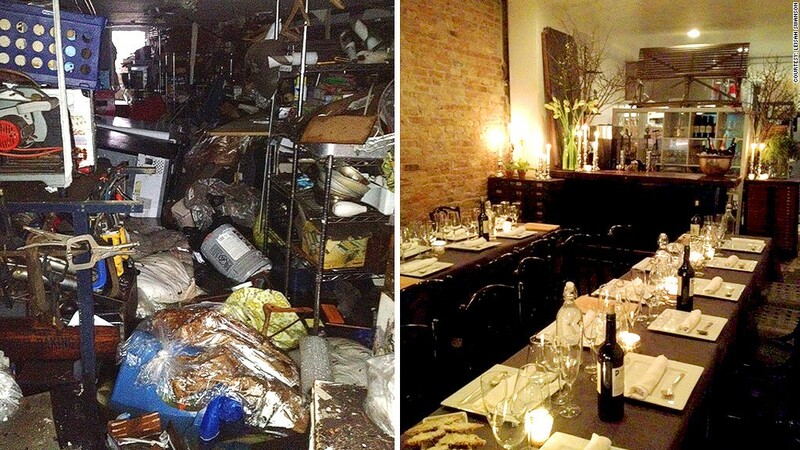 At restaurant Home/Made, the water flooded the basement and came as high as three feet on the first floor. Owners Monica Byrne and Leisah Swanson lost nearly every piece of electrical equipment they owned. The damage has totaled about $80,000 -- so far. But the neighborhood was tight knit, and within a week, Byrne and two other business owners had founded Restore Red Hook, which ultimately raised $610,000 for 65 neighborhood businesses. But it's been a rough year, to say the least. Home/Made didn't have flood insurance. A short-term emergency loan from New York City helped bridge the gap, but the Small Business Administration was a logistical nightmare -- especially because any paperwork not digitized was lost in the flooding. Home/Made and the apartment above (where Byrne and Swanson live) didn't have heat, hot water or electricity until December. They started serving weekend brunch in February and dinner in July; they plan for weekday lunches next month. Byrne said business remains slow. "Red Hook is already hard to get to, plus with the economic downturn, I'm concerned that over 18 months, 36 months, we'll see more people close," she said.